Thousands of uses - lawn mowers, exercise equipment, machinery, valves, spigots, etc. Can be decorated to your specifications. Engraving, hot stamping, and pad printing available. Mounting type: female insert. Thread length/depth: 1/2". Mounting diameter and threads per inch: 3/8-16. Plastic material: thermoset; insert material: brass. Measures 1-3/8" diameter by 1-5/16" height. 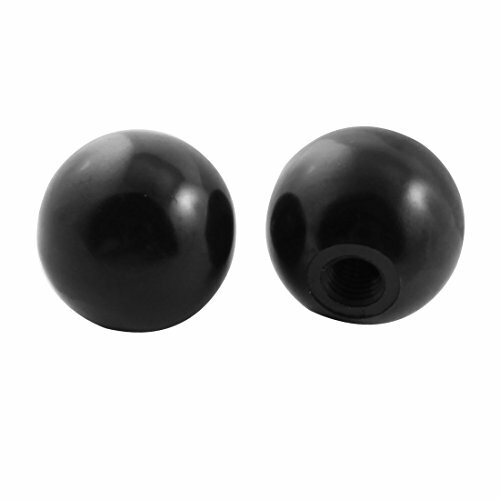 Plastic Ball Knobs are designed for a wide variety of uses such as control levers on forklifts, tractors, trucks, and other various applications. 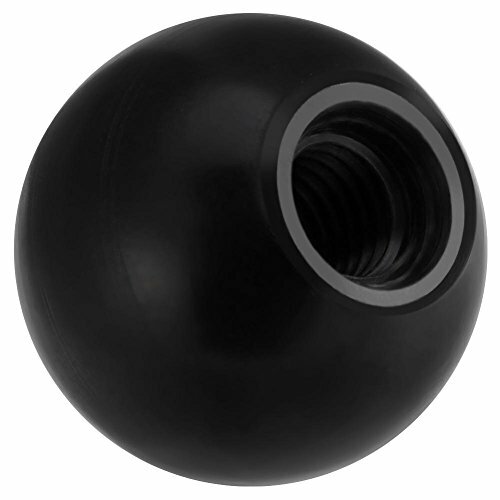 These rugged round knobs are more impact resistant than standard phenolic knobs. The contemporary satin finish provides a "no-slip" grip while hiding scratches, dirt, etc. so knobs look new in the field longer. When you need a knob that conveys the ultimate image of luxury and quality, consider our Soft Touch Ball Knob with an over-molded layer of supple rubber for a sure, comfortable grip. 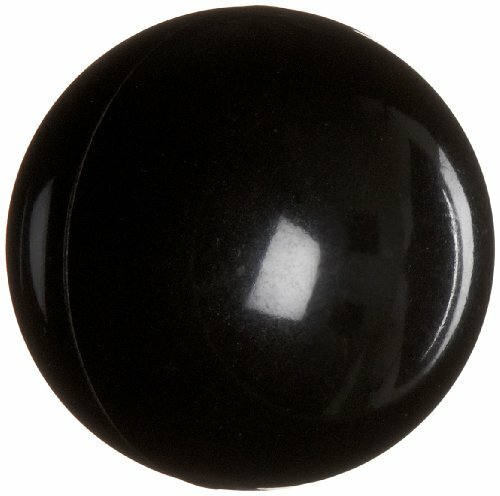 Decorate your knob with a pad printed or hot stamped logo or design for a truly unique look. 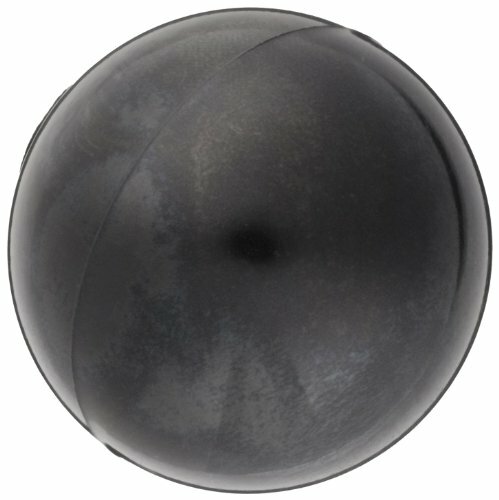 Round Knobs are available in male, female blind, and female locking versions with either inch or metric threads. Molded plastic threads available in most sizes as an economical alternative. 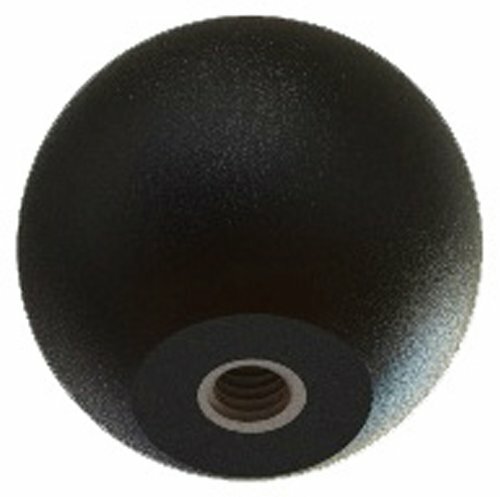 With round knob diameters that range from 3/4 to 1 7/8 , we have a knob that is perfect for any application. 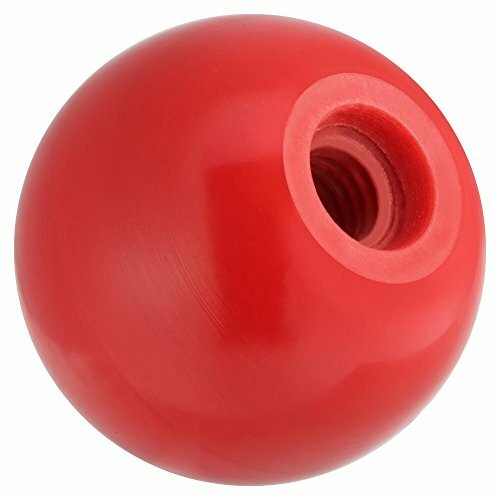 Our plastic knobs are molded using Polypropylene, nylon, or ABS, which makes them up to twice as impact resistant as similar phenolic knobs. Custom inserts, custom hubs, and RoHS compliant parts are available upon request. Can t find the Plastic Ball Knob you re looking for? Contact Innovative Components today to learn about our custom molding options. 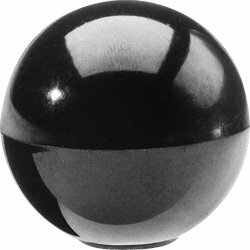 Ball knob with threaded blind hole. Ultra-solid, with a shiny finish, Suitable for general application as operating and handling media. Can be used in many applications from lever knobs to door knobs. 1. Please allow small size error due to manual measurement. Thanks for your understanding. Thousands of uses - lawn mowers, exercise equipment, machinery, valves, spigots, etc. Can be decorated to your specifications. Engraving, hot stamping, and pad printing available. Mounting type: female insert. Thread length/depth: 1/2". Mounting diameter and threads per inch: 5/16-18. Plastic material: thermoset; insert material: brass. 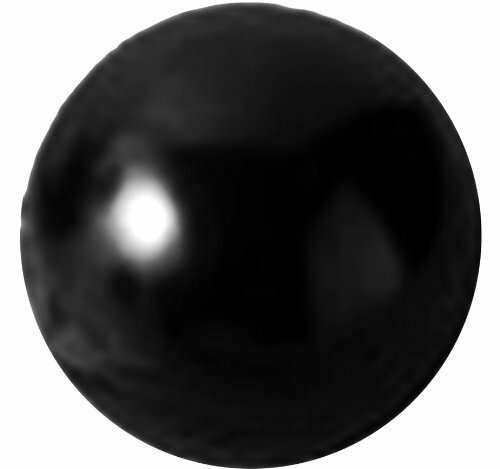 Measures 1" diameter by 15/16" height. Thousands of uses - lawn mowers, exercise equipment, machinery, valves, spigots, etc. Can be decorated to your specifications. Engraving, hot stamping, and pad printing available. Mounting type: female insert. Thread length/depth: 3/8". Mounting diameter and threads per inch: #10-32. Plastic material: thermoset; insert material: brass. Measures 1" diameter by 15/16" height. Thousands of uses - lawn mowers, exercise equipment, machinery, valves, spigots, etc. Can be decorated to your specifications. Engraving, hot stamping, and pad printing available. Mounting type: female insert. Thread length/depth: 3/8". Mounting diameter and threads per inch: #10-32. Plastic material: thermoset; insert material: brass. Measures 43/64" diameter by 39/64" height. Thousands of uses - lawn mowers, exercise equipment, machinery, valves, spigots, etc. Can be decorated to your specifications. Engraving, hot stamping, and pad printing available. Mounting type: female insert. Thread length/depth: 1/2". Mounting diameter and threads per inch: 3/8-16. Plastic material: thermoset; insert material: brass. Measures 1" diameter by 15/16" height. Note: 1. Please allow small size error due to manual measurement. Thanks for your understanding. 2. Monitors are not calibrated same, item color displayed in photos may be showing slightly different from the real object. Please take the real one as standard.